#AskanExpert: Why is a Home Equity Loan so Hard to Get? Comments Off on #AskanExpert: Why is a Home Equity Loan so Hard to Get? Q. We’ve used our credit cards too much and gotten ourselves into a stressful situation. We make a decent income, but the monthly payments are putting financial strain on our budget. We would like to get a home equity loan to pay off all these cards and just have one payment, but we do not qualify for a new loan due to our debt-to-income ratio. Not too long ago, my score was in the 700s and I have a dependable credit history. Why is a home equity loan so hard to get if the lender knows they can’t lose any money, and they would still be able to take the house? From what you tell me, you are looking for strategies to eliminate your credit card debt, increase your credit score and improve your financial life. And it sounds that you are also looking to understand why the bank refused to approve your home equity loan since this could help you deal with your debt as well as benefitting them, even if you were to default on your loan. To help you understand this a bit better, let’s look at this from the lender’s perspective. Lenders lend money for profit. To ensure their loans are profitable, they thoroughly consider the creditworthiness of each consumer. In other words, they look at the potential lenders’ financial situation, their income, debts and credit report to determine if there is a risk that the consumer may not pay them back. In your situation, because you have high credit card debt, you have a high debt to income ratio, which suggests that there’s a real possibility you won’t be able to afford this new loan in addition to your existing responsibilities. Remember, lenders don’t know you as a person, they only know you by the information they gather from credit reports and the numbers you provide. 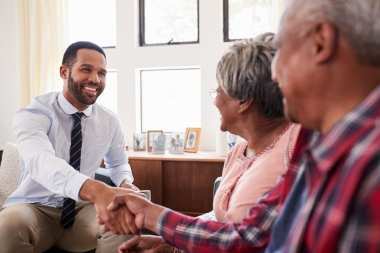 So, even if you tell them that you can be a responsible consumer under the right circumstances, your credit score and the way you’ve been managing your credit debt may be telling lenders a different story. Another thing to keep in mind is that lenders do not consider home equity loans a safe investment just because it is secured by a house. If you were to default on your payments, your lender loses money, and a foreclosure is usually a lender’s last resort to make a nonperforming asset profitable again. Foreclosures can become costly for lenders and they usually take a considerable amount of time and effort, something the try to avoid by carefully selecting their customers. The good news is that a home equity loan is not your only debt repayment option. In fact, this strategy could land you in more trouble because you are not eliminating your debt, you are moving it around. If you start using the credit cards after you’ve paid them off, you will accumulate even more debt, which will still leave you with a very high debt ratio and a poor credit score. I highly suggest that you talk to an NFCC-certified credit counselor to help you review your debt repayment options and, most importantly, help you adjust your spending habits to keep your finances under control. It is important for you to know that when it comes to credit, there are no quick fixes, and whether you are planning to repay debt on your own or through an agency, you should expect to repay it within a couple of years. I commend you on taking the initiative to look for options to repay your debt quickly. You are definitely a step closer to achieving your goal. Talk to a credit counselor and get unbiased recommendations to really pay off your debt and improve your life. Good luck!